Keeping it local with Central Oregon plant-based practitioners Lisa Gladden, NP, and Cardiologists Rick Koch, MD, and Gavin Noble, MD. In today’s one year anniversary show, we keep the focus on Central Oregon, bringing you two information packed interviews with nurse practitioner Lisa Gladden, and cardiologists Gavin Noble, MD and Rick Koch, MD. These medical professionals tell us their stories, and talk about how plant-based eating plays a role in preventing, and even treating, many of today’s chronic diseases. And, as always, we highlight and dissect news from the Vegan Frontier, let you know about vegan related happenings in and around Central Oregon, and more! We talk with Lisa Gladden, NP, Family Nurse Practitioner at Mosaic Medical in Bend, Oregon. Lisa shares with us the story of her personal journey towards plant-based eating, and how it has translated into helping her patients prevent and reverse chronic diseases. In Lisa’s words: “Hi! 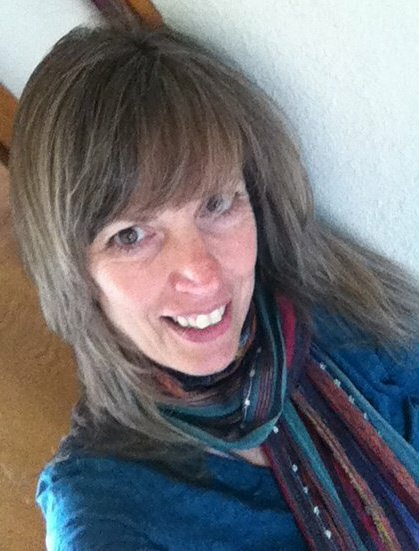 I’m Lisa, a Family Nurse Practitioner providing primary health care in beautiful Central Oregon. I have thrived on a plant-based diet of fruits, vegetable, whole grains, nuts, seeds, and legumes for 30 years. I love teaching vegetarian nutrition and cooking classes, but most of all, I love watching my students and patients reverse their chronic diseases such as high blood pressure, diabetes (type II), high cholesterol, heart disease, obesity, osteoporosis, and rheumatoid arthritis by adopting a plant-based diet free of meat and dairy products. I raised my five healthy, athletic, intelligent, handsome (ok I am biased) sons on a plant-based diet, and love to answer questions about vegetarianism for kids and athletes. Preventative Cardiologists Rick Koch, MD and Gavin Noble, MD of Bend Memorial Clinic, discuss with us how they’re sharing the benefits of a plant-based diet with their patients. via BMC: “Dr. Koch is the Director of Echocardiography and the Director of Advanced Non-invasive Cardiovascular Imaging at Bend Memorial Clinic. He is a non-invasive cardiologist who joined BMC in 2005 from the University of Chicago where he completed his medical school, residency and fellowship. He is Board Certified in: Cardiovascular Diseases, Echocardiography, Nuclear Cardiology, Cardiac CT and Internal Medicine. VegNet Bend monthly meeting and potluck: 6p, December 28, The Environmental Center, 16 NW Kansas, Bend. Bring a vegan holiday dish, your recipe, and a place setting. There’s also an optional white elephant “re-gift” exchange and cookie exchange. VegNet Bend will be hosting a 30-day Vegan Pledge in early 2012. It will include programs, speakers, cooking, and shopping tips. For more information on either of these events, see VegNet Bend on Facebook or vegnetbend.org.